UFC announced Wednesday it will stage its second Canadian event of the year at Rogers Arena in Vancouver on Saturday, August 27. UFC FIGHT NIGHT will mark the fourth UFC card in Vancouver since 2010. 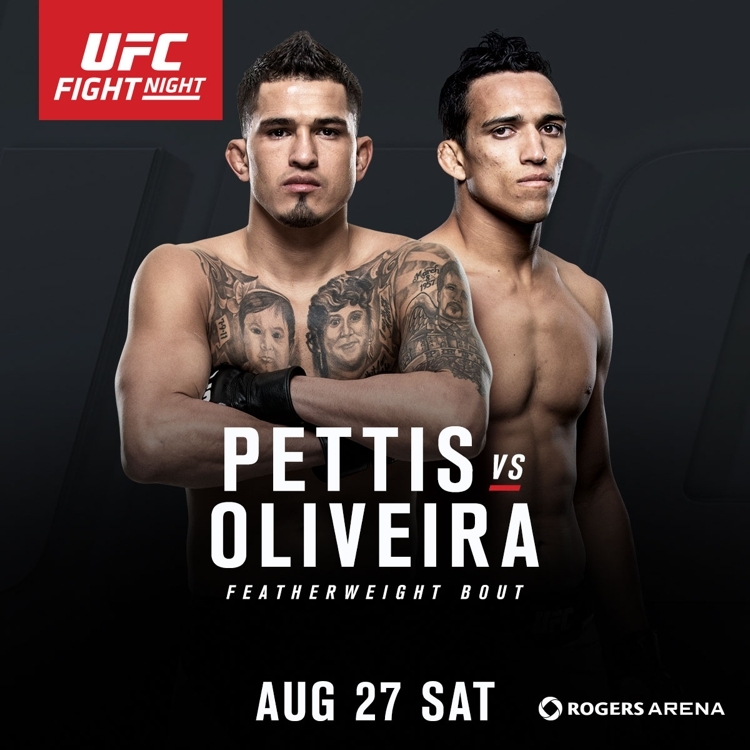 In one of the evening’s confirmed bouts, former UFC lightweight champion and last-reigning WEC lightweight titleholder Anthony Pettis (18-5, fighting out of Milwaukee, Wisconsin, USA), will make his featherweight debut against No.7 ranked contender Charles Oliveira (21-5 1NC, fighting out of Houston, Texas, USA by way of Sao Paulo, Brazil). A dynamic knockout artist, Pettis is known for his varied and creative striking game. His unbelievable ‘Showtime kick’ against Benson Henderson in late 2010 was featured on highlight reels all over the world. Throughout his career, he has netted victories against Henderson (twice), Donald Cerrone and Gilbert Melendez. A victory over Oliveira will immediately thrust Pettis into the title mix of the ultra competitive featherweight division. UFC 205: Conor McGregor vs. Eddie Alvarez the right call?